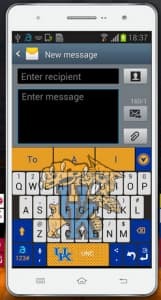 The new keyboard that can be set by the user has the capability of displaying school mascot, as well the specific color and theme of it, so that phone’s virtual keyboard becomes unified with school’s mascot. The logos and color schemes are so well thought-out that they transform default Android’s keyboard completely, enabling users to benefit from an entirely new typing experience. 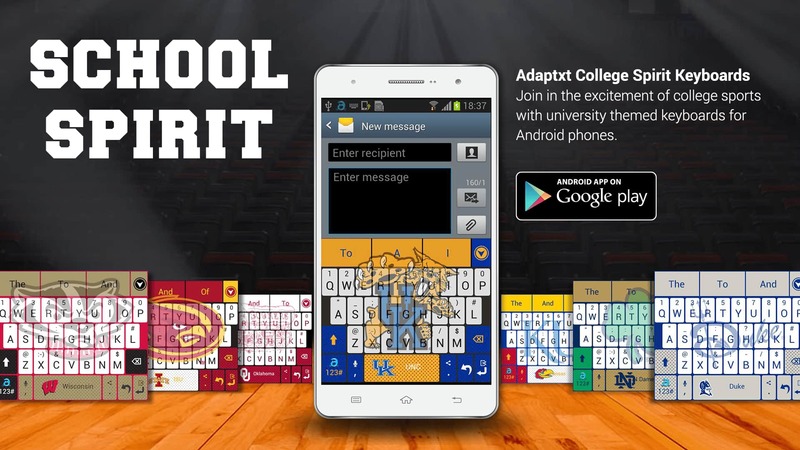 Adaptxt College Spirit Keyboards is capable of adapting itself to each user’s writing style, transforming the experience entirely and enabling everyone to type faster and without errors. The auto-correct feature learns user habits and is able to predict specific words for certain apps, writing styles and more. Predictions can also be improved or deleted by the user. Adaptxt Spirit College Keyboards is capable of learning user’s typing habits based on the current app in use. Thus, predictions may differ from browser input and IM apps such as Skype. Adaptxt College Spirit Keyboards is not just for the English language, but for over 90 ones as well. Thanks to default support for Romanian, Spanish, German, French, Italian and many other languages, Adaptxt College Spirit Keyboards can provide a bilingual typing experience and help its users input text more easily regardless of the current language spoken. For those who work or study in a specific field such as business, legal, medical or IT, Adaptxt College Spirit Keyboards provides technical dictionaries who can make technical word suggestions and easily adapt to the background required for the chat. Thus, technical users can accommodate to this app easier and facilitate their typing habits. All in all, Adaptxt College Spirit Keyboards is a must—have skin app that completely transforms and improves user’s writing experience. Furthermore, it features region and university-specific logos and themes that help students wear their favorite mascot with pride, right on their mobile gadgets. Each college-themed Spirit Keyboard for Android is available at a cost from $0.99 – $2.99 and can be downloaded from Google Play Store.